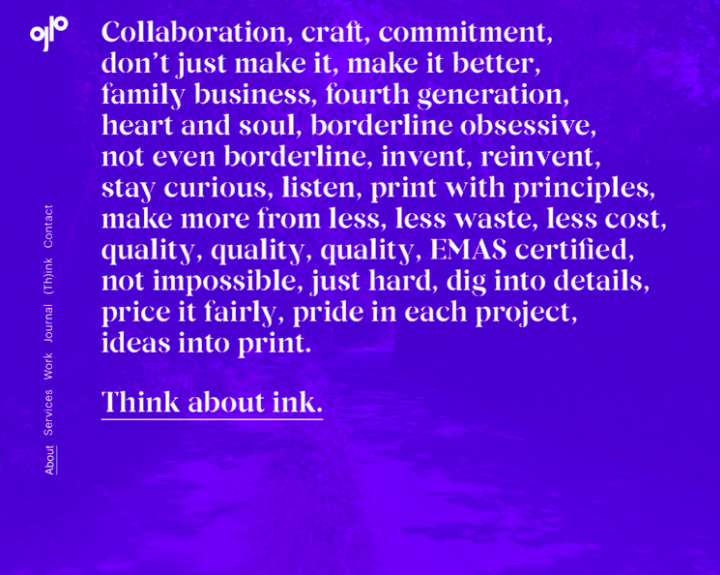 Nick Asbury is one of Britain’s most-awarded copywriters and a thoroughly good bloke to boot. He consistently produces truly inspiring work for everyone from Little Chef and Unicef to Cambridge University. Nick always has a creative side-hustle on the go, whether that’s Corpoetics (found poetry from corporate websites), his Perpetual Disappointments Diary or, most recently, Realtime Notes, a series of poems and word sketches on Instagram. All of this plays a vital role in supporting his writing ecosystem. 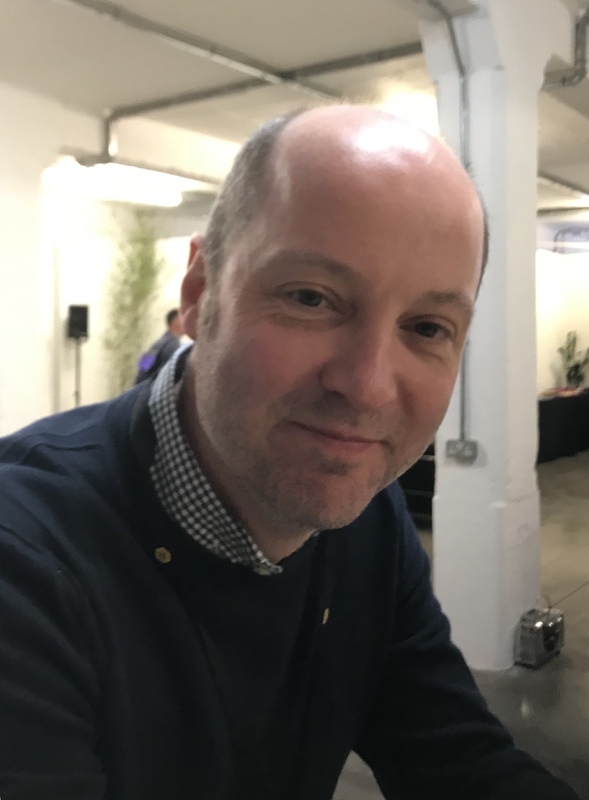 I met up with Nick recently* and he generously shared his advice on how to make it as a new copywriter, how to get under the skin of a brief and how poetry can feed into your copywriting. What advice would you give to copywriters who are just starting out? The main thing would be to put your eggs in as many baskets as possible, writing-wise. So you might do a bit of journalism or contribute articles to blogs, as well as doing branding or tone of voice work for design companies. And then you mix in your own personal stuff, whether it’s writing poems or another interest outside writing, and add in self-initiated projects too. As a writer, there’s nothing stopping you from doing anything. There’s often a temptation to sit around waiting for an opportunity to come along or for a client to phone up with a brief. But really, there’s no secret to making opportunities happen. You just have to keep pushing and get out there and do stuff. You could email a publisher with a book proposal – you’ll probably get a no, but you might get a yes. Or it might lead to something else. Or you can submit poems to magazines or humour pieces to places like McSweeney’s. Don’t sit around waiting for an opportunity. Always try to do stuff. Spread your net widely. You should just always be trying to do stuff. Spread your net widely. Not everything will work out, but it will give you more job security. Because if the design work suddenly dries up, you might have some journalistic work you can do instead. Variety is probably the one word that sums it up. I’ve compared my writing world before to an ecosystem. You’ve got to keep it diverse – if one species starts to dominate, it all turns quite unhealthy. So I try to keep a good mix of stuff going. Related to that, the whole process of creativity is about joining things up and finding little connections between things. So the more you can fill your head with weird and interesting stuff, the better. Read stuff that no one else is reading and watch films that no one else is watching. Just fill your head with weird reference points and that way you’re more likely to come up with connections that other people don’t see. When you first get a brief, how do you get under the skin of the subject? I’ve got an anecdote about this. When I was six years old, I was playing hide and seek with my Grandad and my brother was hiding in the bushes somewhere. As I was looking for my brother, my Grandad told me that in his army training he was always taught not to look at the bushes, but through the bushes. I think it’s the same with a brief. Don’t look at the brief. Look through the brief. See what it’s really trying to say. Because a lot of the time, a brief won’t be perfectly written and if you take it too literally it can send you off in the wrong direction. The brief might tell you about the core message the copy needs to convey. But once you’ve read the rest of the brief, you think, “I’m not sure that actually is the core message we need to convey.” You have to question the brief. And I always think it helps to meet people, where possible. If you’re working with a small company, for example, then if you can go and meet the person who runs that company, talk to them face to face, record them and use their words, it can be a great way to find their tone of voice and personality. I did that for a printing company, Generation Press. I met the guy who runs it, Paul, and scribbled down notes as we were talking. Afterwards I went back and tried to write them up and found I couldn’t capture the rawness and energy of it. As soon as I turned my notes into a continuous piece of copy, there was something a bit pedestrian about it and it sounded like any other printing company. I was looking at the copy and then back to my notes and realised that my notes were just more interesting. They had some of that energy. It was a bit of a breakthrough moment. It occurred to me there was no real need to turn it into conventional copy. Instead, I wrote it as a kind of list, rather than fully formed sentences. And just by writing it in a different way, it captured something about Paul’s personality and energy. It was my way of conveying what I felt when I was listening to him. So hopefully the reader feels that too. How does poetry feed into your copywriting? Poetry and copywriting are similar in the sense that they’re both about using concentrated language. With a poem, you write something and then strip away all the words you don’t need until it’s really condensed. And I think it’s the same with copywriting. A lot of the time, you’ve got a limited space to work in. And the more words you can strip out, the more likely people are to read it from start to finish. 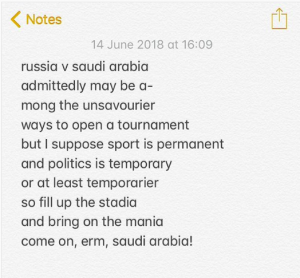 At the moment, I’m writing Realtime Notes every day – a series of poems and word sketches on Instagram that respond to current events. And I feel as though it’s keeping my brain limbered up so that when I go back to writing copy, I’m already warmed up. I used to find that after a week’s holiday, I’d have lost my momentum and sometimes it would take me a whole day to get into the copywriting zone again. But since I’ve been writing Realtime Notes every day, that happens less. So it’s been useful in that respect. * This really is stretching the definition of ‘recently’ a bit far. Nick and I met back in April at the D&AD festival. I kept thinking, I should make each of these pieces of advice into a longer blog post, but then life took over. Until I just thought, post it now, Fiona. This is getting embarrassing. Sorry, Nick, for taking such a long time to press publish. Better late…?